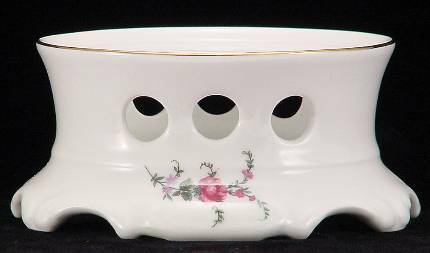 Fine china teapot warmer made in Poland by Wawel. This Rose Garden teapot warmer is a base for a stunning teapot centerpiece. Use a tealight candle in the warmer to provide heat to your teapot and ambience to your table. Six-inch diameter and can be use with both the Medium and Large teapots. Hand-painted with gold trim.